Blackline R.E. Helps Kay Jewelers Establish Presence at Bristol Plaza in Bristol CT.
(May 5, 2017; Bristol, CT)—BLACKLINE Retail Group and Federal Realty proudly announce the opening of Kay Jewelers in Bristol Plaza. Kay Jewelers is part of Signet Jewelers Limited. Signet is the largest specialty jewelry retailer in the US, UK and Canada. 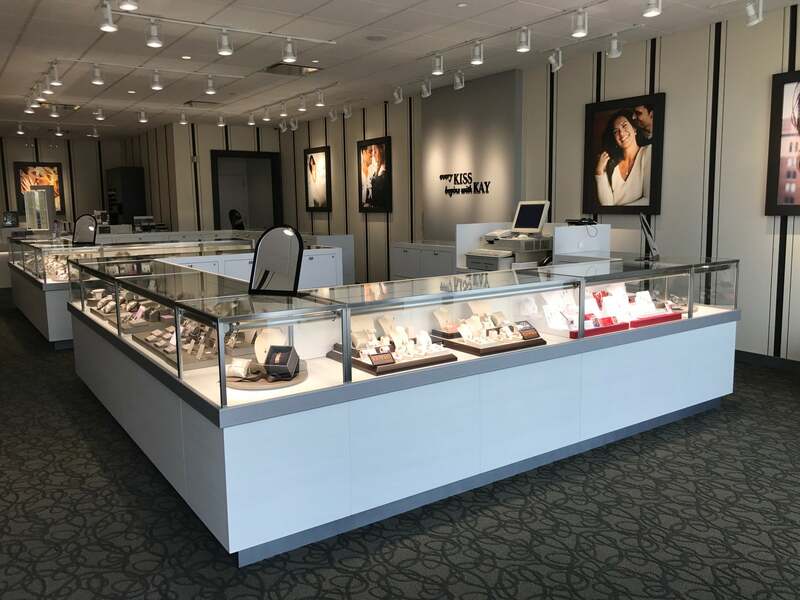 The company operates approximately 3,600 stores primarily under the name brands of Kay Jewelers, Zales, Jared The Galleria Of Jewelry, H.Samuel, Ernest Jones, Peoples and Piercing Pagoda. This is the chains 12th Connecticut location. The new store is located at 594 Farmington Ave and will be open 7 days a week. Bristol Plaza is located in Hartford County at the intersection of Farmington Avenue, Route 6 and Hefbern Road in Bristol, CT. The property has a total of 266,000 square feet of retail space and 1,244 parking spaces. The population in a 5-mile radius is 107,000 + with an average household income of $83,000 and up. BLACKLINE’S expertise includes property marketing, strong local prospecting, lease negotiating, site planning and tenant mix advisory services. With our team’s local and regional market knowledge and range of skills including shopping center marketing, lease negotiating, site planning, engineering and real estate finance, we offer landlords and tenants alike a full picture of the opportunities associated with any particular site. Visit www.blacklinere.com, call 617.553.1820 for more information.